In its second year, the 2015 Indy PopCon attendance more than doubled from last year’s inaugural event. The convention is quickly gaining notoriety and this year had some highly regarded film industry professionals in attendance. It was a fantastic opportunity for fans, aspiring actors, writers, and young filmmakers to mingle and get close and personal with some of the best in the business. David Michael Latt and David Rimawi shared the insights of how their films are made from concept to post-production. Information was provided on their current and upcoming films and their highly regarded series Z Nation. In addition, the weekend was packed with screenings of Asylum films including, Sharknado, Sharknado 2, Nazis at the Center of the Earth, Atlantic Rim, Megapython vs. Gatoroid, Abraham Lincoln vs. Zombies, and Megashark vs. Mechashark. Actor and director Casper Van Dien along with actress Ciara Hanna shared their experiences making Asylum and other films and about their upcoming projects. They shared laughs about their on-set experiences and tips of the trade with fans in attendance. Friday night wrapped up with Casper Van Dien’s Starship Troopers playing and it began with a bang when Van Dien belted out some of his classic lines from the film. 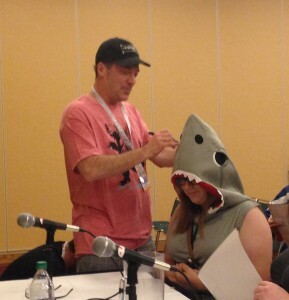 When the famous actor Peter Spellos was on the stage for his panels, the fans were in for a real treat. Spellos shared tons of quality information about his work in movies, TV, voice overs, and theater. He was not only talking about his personal experiences, he was a huge inspiration for young actors and was there to assist them and motivate them to succeed in the business. 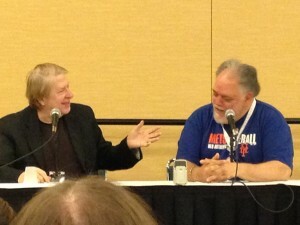 Jim Wynorski and Peter Spellos worked on multiple films together and credit each other for getting them to where they are today. They relived some old times and shared a few laughs with the audience, but due to children in attendance some old crazy times were censored. Legendary Wynorski talked about his experience when he was young and relocated to Los Angeles up to his current films including CobraGator which is due to be released this summer. 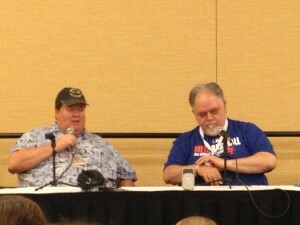 Bill Dever and Wynorski shared plenty of insights about their films Gila! and Camel Spiders, which included the benefits of filming in a small Midwestern town. Dever also touched upon his upcoming horror film Resurrection. 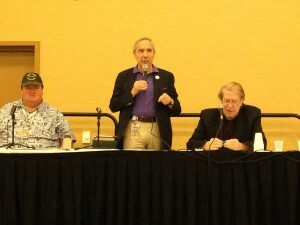 The PopCon wrapped up the weekend with the B Movie panel which consisted of Jim Wynorski, Bill Dever and Troma’s founder and president Lloyd Kaufman. 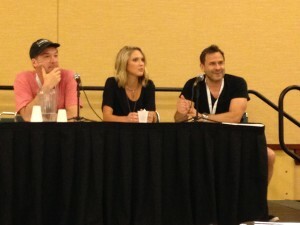 This panel could have gone on for hours, it was nonstop entertainment and provided valuable information for B Movie fans and filmmakers. As expected, an animated Kaufman got the audience fired up with his wisecracks and the Troma introduction video. 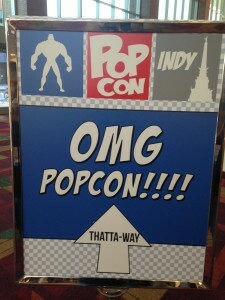 With the attendance and guests expected to consistently rise each year, Indy’s PopCon is set to quickly rise to an elite con in the near future. With next year’s already in the planning stages, be sure to subscribe to the PopCon Facebook group and frequently visit the website.